Oh Martha Stewart, bless her heart. For as wholesome and cookie cutter cutesy as she appears (aside from that whole stock trading scandal and the subsequent prison sentence) every year she always rolls out a ton of killer Halloween decorations, tips and tricks. 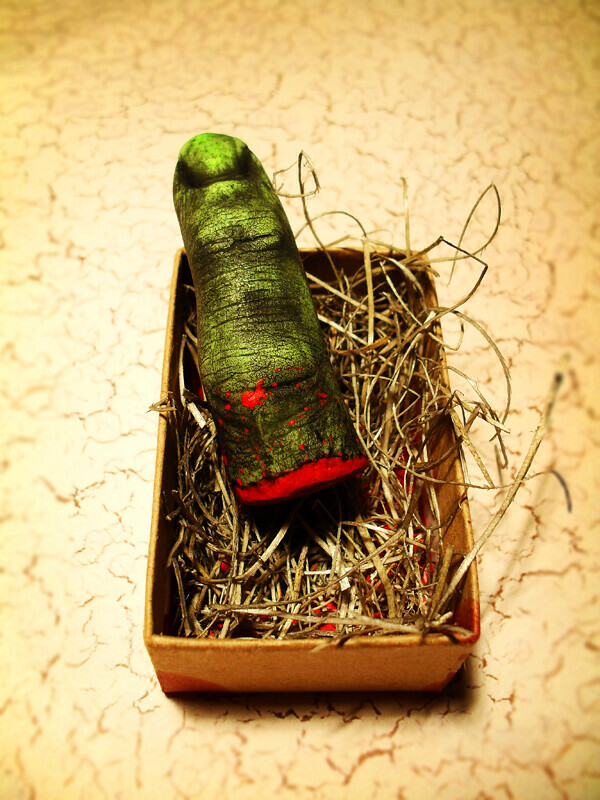 One of her more popular and creepy Halloween ideas was her Severed Finger invitations. While a great idea and very sophisticated, the plain white fingers and simple black ribbon left me wanting more. First off I decided to make the fingers look as realistic as possible. 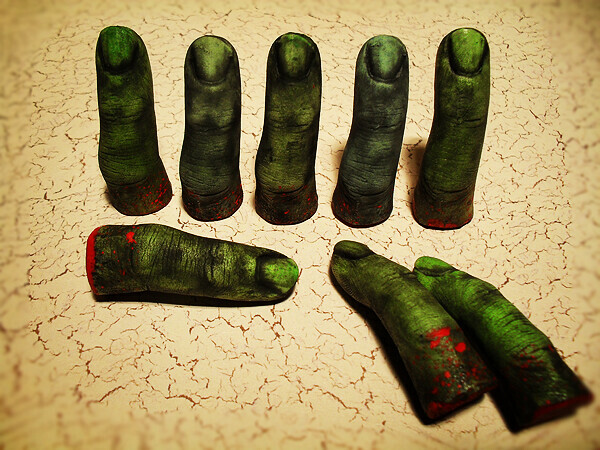 To accomplish that I made a mold of my own right pinkie finger and then cast the invites in a sickly dead green color, finished with a dirty black wash.
Next, I wanted to make the fingers look like they were actually severed. 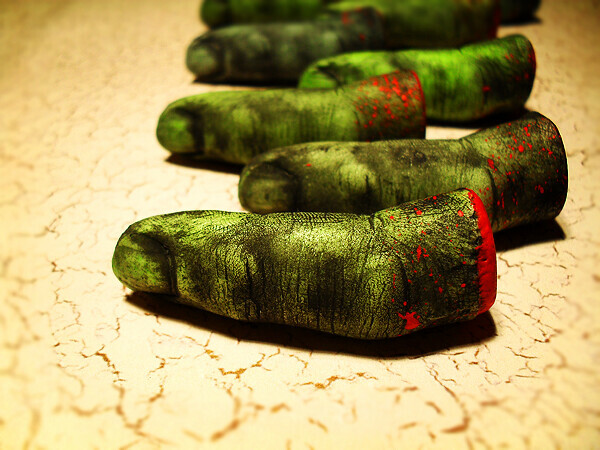 I did this by sculpting some flesh tears on the end of each finger and adding a splash of red paint to simulate blood. 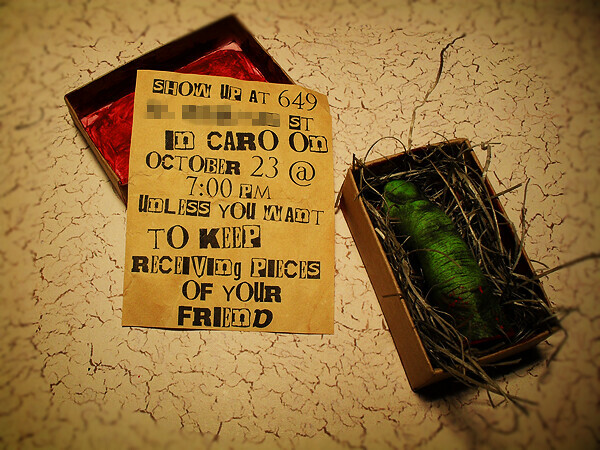 I then packaged the finished invites with some Excelsior Moss in a blood stained Kraft box. Instead of the “don’t forget the date” string tied around the finger, I wanted to set a darker tone so I decided to include a “ransom” type note instructing the guests to show up for the festivities unless they wanted to keep receiving pieces of their friend. All in all, I’m pleased with the results and the feedback I’ve received thus far has been nothing but positive. I know that taking the time to make the invites exciting and different has already gone a long way toward setting the tone for the party and has also gotten everyone talking. Previous postNew Dark Art Pendant Designs and Free Shipping! 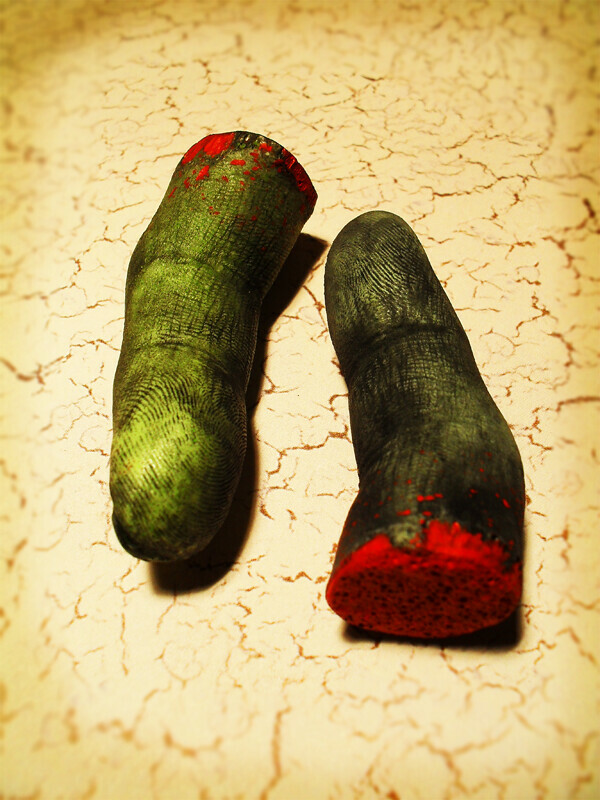 How did you make the mold of you finger? Amazing Mold Putty. You can find it at Michael’s or Hobby Lobby for under $20 and it is very easy to work with. Below is a pic of the box. Do you sell these? Or did you just make it for yourself? I made these for my own personal Halloween party. Hello. I’d like you to make these for my daughters birthday party. do you sell them if so how much and how long does it take to ship them.